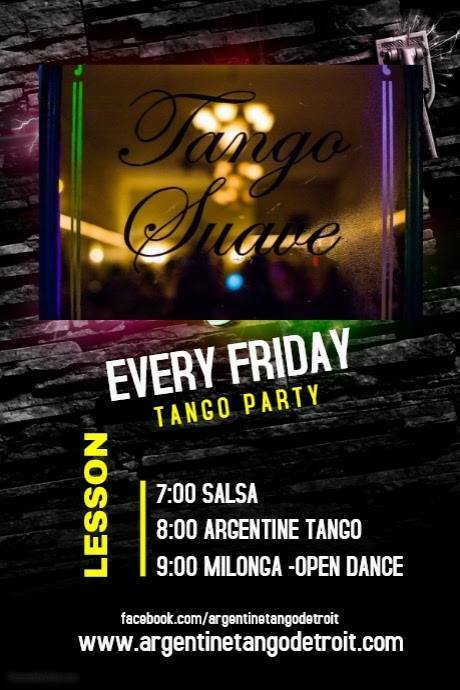 Owner of ATDanceStudio and instructor Lori Burton has over forty years of teaching experience, and has been specializing in Argentine Tango for the last twenty plus years. She was a soloist with the Metropolitan Ballet Society and has earned numerous top teacher awards in competitive ballroom, Latin, and rhythm styles. Lori is also a former two-time state body building champion. Lori’s tango dancing has been featured on ESPN and local television, including a tango exhibition on PBS. Lori and the ATD studio have appeared in various other news sources including the Detroit News, Detroit Free Press, Macomb Daily, Crane’s Business News and many local papers. Lori has studied Argentine tango extensively in Argentina with many of the greatest Argentine masters. Among her teachers are Carlos Gavito, Mingo Pugliese, Osvaldo Zotto, Fabian Salas, Graciela Gonzalez, Gustavo Naveira, Miguel Zotto, Juan Carlos Copes, Johana Copes, Aurora & Jorge Firpo, Facundo & Kely Posadas, Pablo Veron, Sergio Cortazzo & Gachi Fernandez, the Dinzels, Georgina Vargas and Oscar Mandagaran and others. Lori’s ties to the Argentine tango community have made it possible for her to host many guest visits from world renown masters, right here at her Michigan studio. The legacy continues with her daughter, Amanda Accica and son in Law Daniel Moreno which hold the title of 2016 USA Tango Stage Champions and now Owners of Argentine Tango Detroit Dance Studio. Lets come together once again to celebrate the Women who made it all possible and gave us a studio to call home. Limited spots available for up front seating, so please purchase your ticket in advanced ! No regular group lessons this day!